Leaves Your Hair Looking & Feeeling Great. LEAVES IT SMOOTH, SOFT, & SHINE. 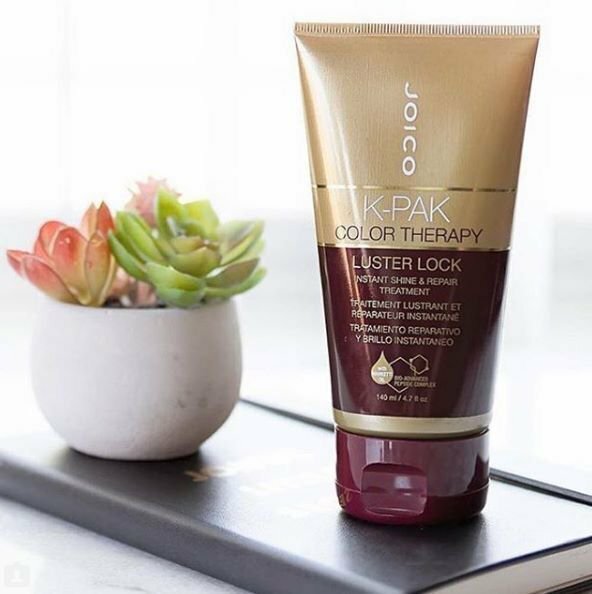 The ideal choice for colour treated blonde and brunette hair, the K-Pak Color Therapy Luster Lock Instant Shine and Repair Treatment by Joico uses the exclusive Bio-Advanced Peptide Complex and Quadrabond technology to restore hair strength whilst sealing and nourishing the hair. Restores weak, damaged and dry hair with a rejuvenating formula of silk, soy and seaweed extracts. Apply to clean damp hair. Massage into the hair and leave for 3-5 minutes.